It’s not difficult to understand why so many of the world’s professional players believe that Muirfield, near Edinburgh, is the fairest examination of golf among all of Britain’s great and historic championship courses. Muirfield in comparison to St Andrews does not feature hidden bunkers, subtle humps or hollows that make St Andrews world famous for the open championship. The course that Allan Robertsons laid out at Carnoustie formed the basis for what is today one of the truly great championship courses in the world of golf, while the town itself is hugely significant to the development of the game on an international scale. If it was St Andrews that gave golf a home, then it was Carnoustie that gave the game many of its ambassadors. As golf became ever more popular, and spread out from Scotland like ripples on a pool, a small army of golfers left the old town of Carnoustie to seek fame and fortune in far flung lands. No matter where in the world a golfer may travel, no other course has more thrilling sights with ancient historic buildings as a back drop than St Andrews. Here in the historic kingdom of Fife lies the cradle of the game of golf, the games cultural home, the Jerusalem to which ever golfer aspires to make pilgrimage at least once in his or her golfing life. Golf has been played on the old course at St Andrews for more than 400 years and on the edge of the ancient town who’s own history goes back between 10,000 – 5,000 BC. Much like St Andrews, the old Musselburgh links east of Edinburgh are a relic from the very cradle of golf and holds its own special history of the sport. 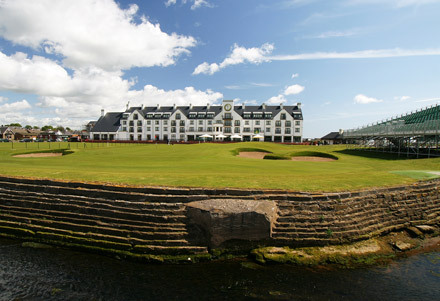 It was the scene of six Open championships after the Open moved away from Prestwick back in 1860 – 1870. Musselburgh course was originally only seven holes, but an eight was added in 1832 and another shortly afterwards. The Royal Musselburgh Golf Club was established at Musselburgh in 1774, although there is fairly good evidence that the club dates back further to 1760. The golf club stands as a monument to the early days of the game. It was the original birthplace of the Open championship which stood for professional golf tournaments, hosting more than Opens championships than any other course, save Old Course St Andrews. Prestwick golf club has been the scene of many great golfing deeds and achievements, and it is very much doubtful that any other club ever received a finer compliment than that paid to the course by the great golf writer Bernard Darwin. The links of the west course at North Berwick belong to what Sir Guy Campbell (1885-1960) golfer administrator, Journalist and prominent golf course designer once described the course as ‘Primitive Age’ that period from the very beginnings of the game until the arrival of the gutta percha ball in 1848. 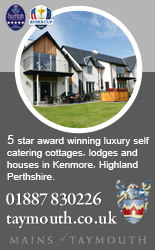 The golf course is a classic example of golf playing on the natural rustic land of Scotland.